Windows key, the Super key between Ctrl and Alt is used for launching Main menu in Windows system and Ubuntu using Alt+F1 instead. 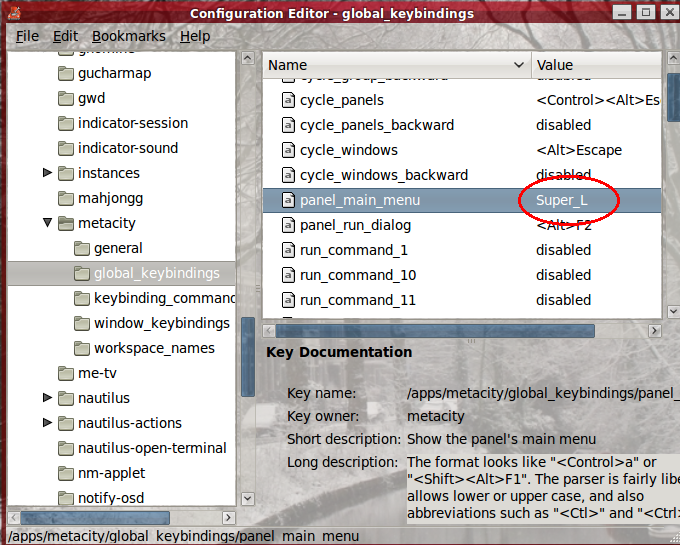 If you’d like Super key as keyboard shortcut to launch Gnome Main menu in Ubuntu, follow this simple tutorial. 1.) Press Alt+F2 to launch “Run Application” box, type in gconf-editor and click Run. 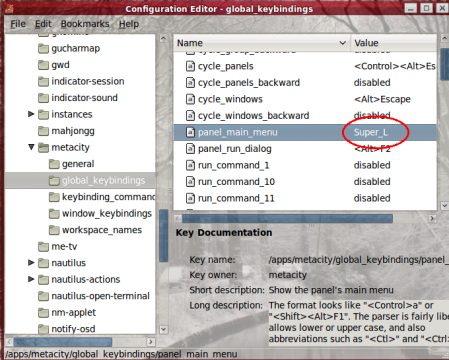 5 users responded in " Ubuntu using Windows key(Super key) to Launch Gnome Main Menu "